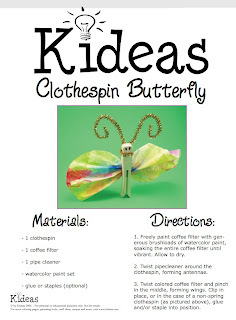 Kideas is a great website if you are looking for ideas of for arts and craft projects. All the projects are simple and do not require complex material. In all, there are about 40 craft ideas. They all come with a pictures and a PDF giving all the material and instructions to do it. There are also many colouring pages. For kids who prefer to be artistic with food, there is a "creative food" section. Finally, the parenting tools will be helpful for parents with tips and ideas such as how to make your own baby sling, how to prepare a weekly chore chart, a diaper and feeding chart of a homework log sheet and some lunch box notes! October 24, 2011 at 4:17 a.m.